Pick from an extensive colour palette that includes a huge choice of gorgeous painted, stained and natural finishes. Or if you prefer to unleash your own innate style, choose a custom colour option and explore the tones that suit your decor. Each shutter is bespoke and made-to-measure to reflect the individual architecture of the window, from the size of the louvre right down to the colour of the hinge, and fitted by our highly specialist team to the most exacting standards. So whether you enjoy contemporary modern living, have a period home or a cool city pad, we can help you find a stunning design solution that meets your specific needs. Seattle MDF shutters are polymer coated to produce a tough and durable shutter option, that is ideal in high traffic areas around the home such as children’s bedrooms and patio doors. Very strong with a wipe clean surface, we find that these are the interior designer’s contemporary choice. Colour options: Available in five shades of white. The Georgia collection is at the pinnacle of shutter design. 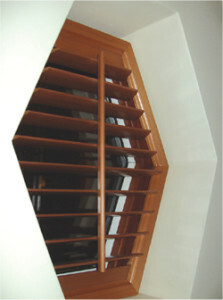 MDF panels and frames with ABS louvres are extremely tough and durable. Colour options: Available in a wide range of gorgeous painted colours. 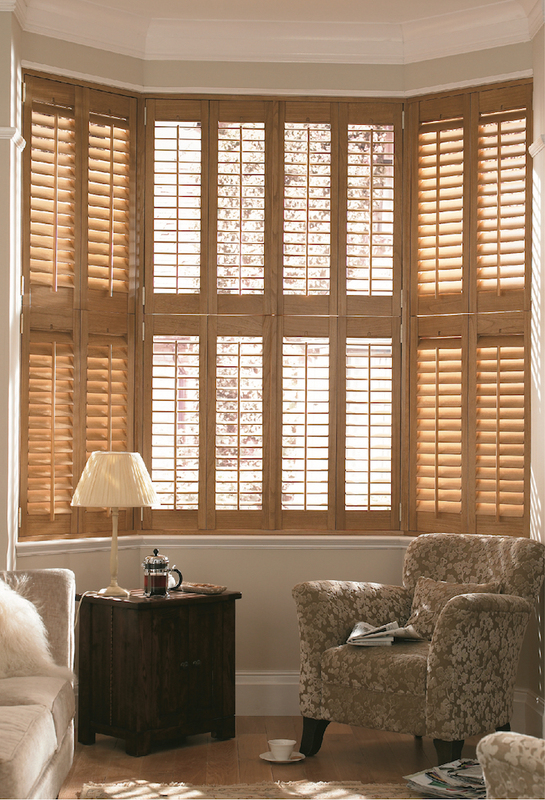 The Boston shutters range is crafted from beautiful solid basswood. We are able to keep the prices affordable with this contemporary range, with the use of hardwood panels and MDF frames.Colour options: Available in a choice of five white finishes. 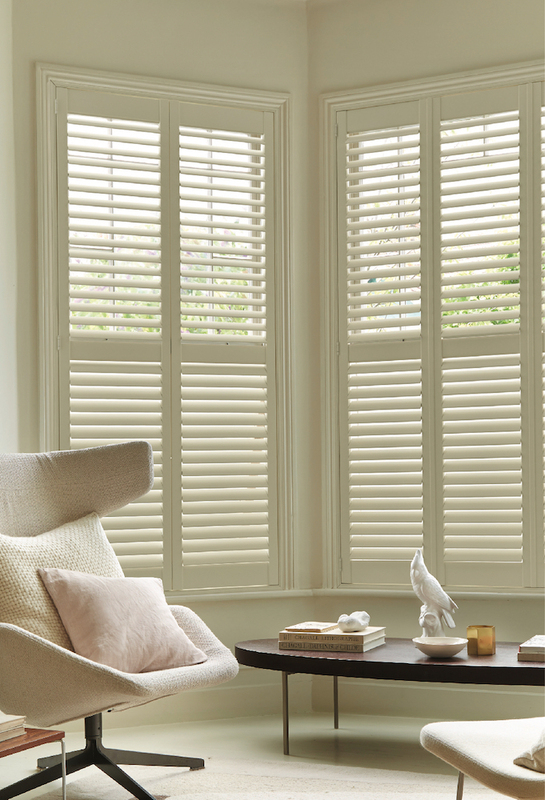 A durable all-wood shutter range, Boston Premium is the perfect choice for unusual shaped windows. Like a key piece of furniture, they’re a great style statement, giving a lovely focal point within the room. Colour options: Choose from a wide choice of attractive colours or your own custom colour. 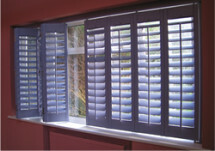 The Phoenix shutter is made in a very light, eco friendly timber with an attractive rich and woody grain. This makes it the ideal choice for tier-on-tier installations, and allows us to offer an extensive range of paint or stain finishes. Colour options: Available in a wide range of design-led painted colours and stains. 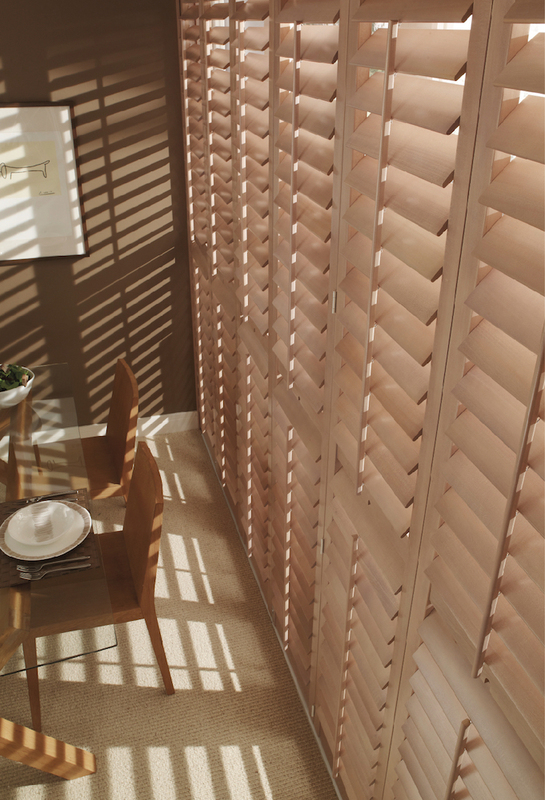 Our Carolina shutter range is made from very robust and high quality hardwood, with an engineered core to prevent any possibility of warping. Carolina shutters are well suited to areas where extra durability is required and the range can be made to your special requirements. We think this is the architect’s choice for truly custom made shutters. Colour options: A stylish choice of painted, stained or custom colour finishes. 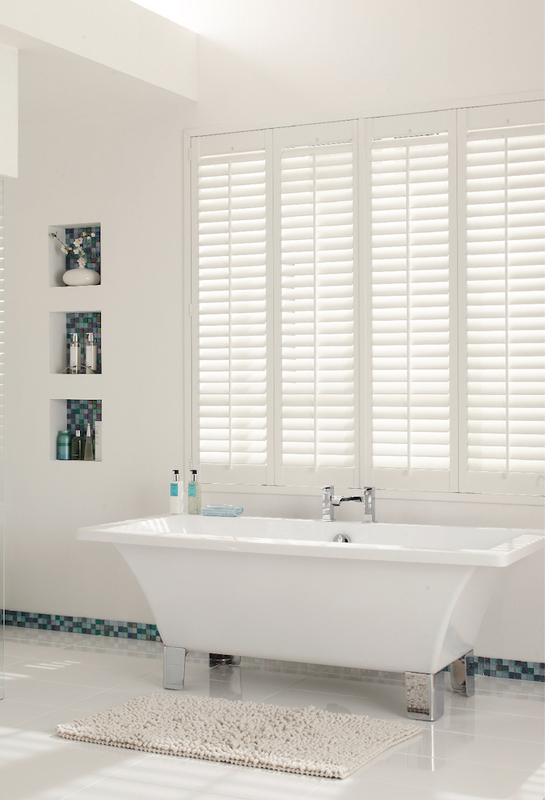 Our ABS shutters are completely waterproof, so ideal for high moisture areas such as bathrooms, kitchens and other high traffic areas. We are very proud of the ABS closed-cell composite technology that we have created to ensure that these shutters have superior strength to prevent warping, denting and chipping. Available in a choice of six white finishes, they will sit beautifully with all interior styles. Colour options: Choose from six shades of white. 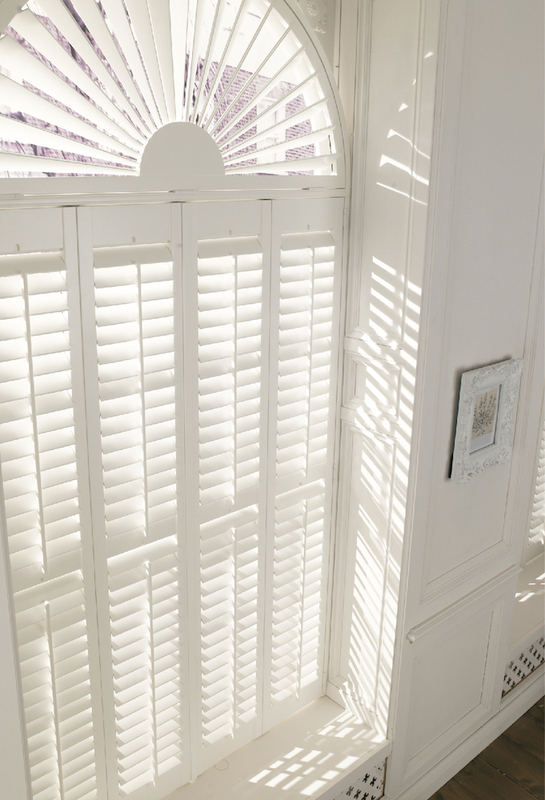 Our shutters are available in a choice of materials, stains, finishes, louvre widths, louvre widths and even contemporary paint finishes you can colour match to the Farrow and Ball® and Dulux® paint charts. Give us a call on 01256 211977 or 07920 755445 and we’ll be happy to arrange a FREE measuring and consultation appointment for you. 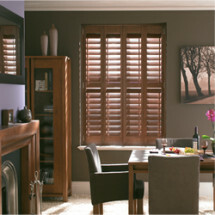 PRIVACY: Shutters are ideal for people who want privacy without sacrificing valuable daylight. Louvres can be angled according to the sun’s position, and when shut, they’re a great way to keep out prying eyes and therefore a good security option. Perfect if your house is on a busy street. 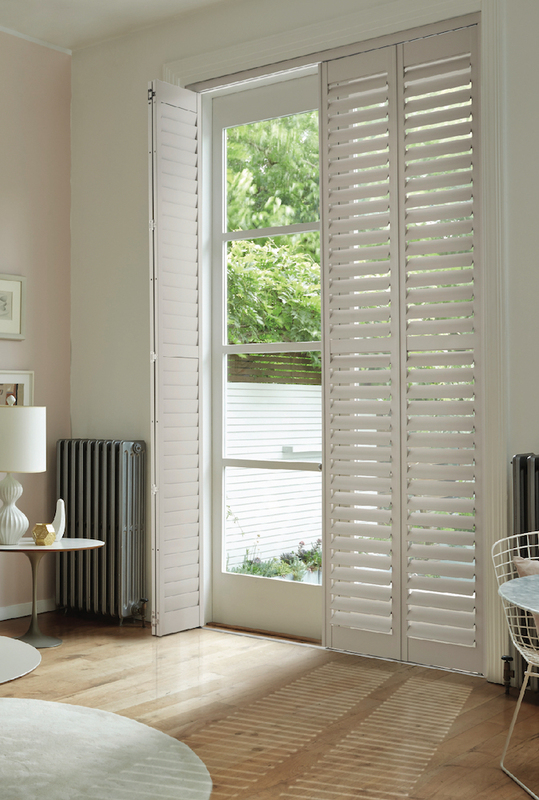 INSULATION AND NOISE REDUCTION: As well as filtering the light and maintaining privacy, shutters can help to reduce noise and even help you save on your fuel bills as they provide further insulation. 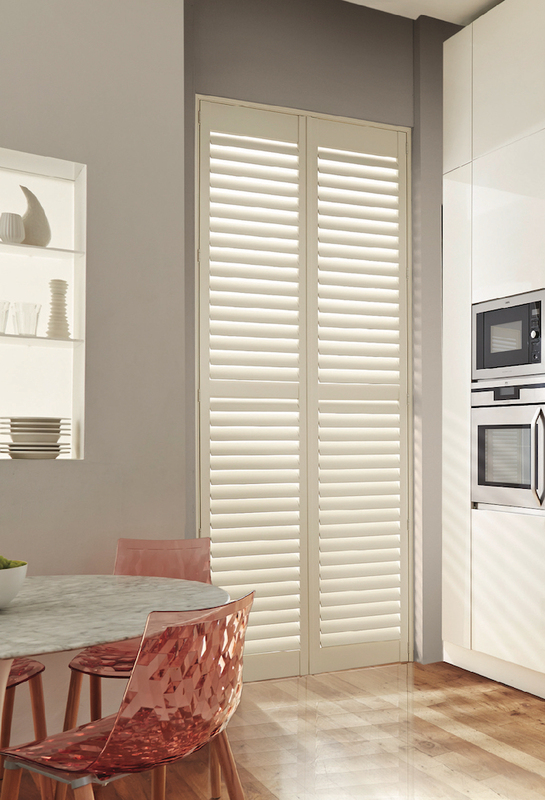 LIGHT CONTROL: Shutters are the definitive way to control light, allowing you to effectively close off the window and then filter the light in as you choose. Depending on the type of shutter you go for, you can operate the top half independently from the bottom half. This provides even better light control, as well as a fantastic look. BESPOKE SHUTTERS: Many properties have beautiful original windows that look gorgeous but can be awkward shapes and sizes. Opting for bespoke shutters, which can be made to fit windows of any shape and size, is a good way to accentuate and draw attention to lovely features.